Hyperloop by Elon Musk is the future transportation technology. In Musk’s words, a hyperloop is a system to build a tube over or under the ground that contains a special environment. Hyperloop is expected to become 5th mode of transportation, standing beside planes, trains, automobiles, and boats in the pantheon of mechanized movement. Hyperloop One, previously known as Hyperloop One or Hyperloop Technologies is a company in Los Angeles, California, that is working to commercialize the Hyperloop for moving passengers and/or cargo at airline speeds at a fraction of the cost of air travel. The concept of Hyperloop transportation was introduced and named by Elon Musk in August 2013, although he is not involved with Hyperloop One or any other company developing Hyperloop. Hyperloop is essentially a train system that Musk calls “a cross between a Concorde, a railgun, and an air hockey table”. It’s based on the very high-speed transit (VHST) system proposed in 1972, which combines a magnetic levitation train and a low-pressure transit tube. It evolves some of the original ideas of VHST, but it still uses tunnels and pods or capsules to move from place to place. Hyperloop isn’t about going as fast as possible because you’ll have to deal with high G-forces when it came to turns, which isn’t ideal for passenger travel. Speeds of over 700mph are suggested for journeys. Planes, trains, and automobiles may have carried us through the 20th century, but these days, they’re old news. 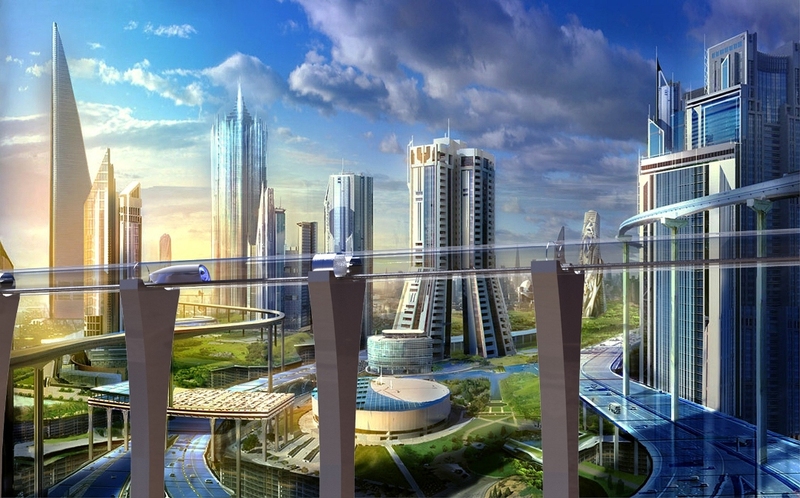 The transportation of the future will be more along the lines of magnetic levitation, jetpacks, and zip lines that fit in a backpack and they could be here sooner than you think. New technologies have the potential to make our roads and transit systems safer, greener and more efficient. We are working hard to ensure that these technologies can be integrated safely into our existing system. The future transport technologies include self-driving vehicles which will zip through invisible streets of data. In the next decades, bikes will still be a big part of how we move around urban areas. But while many people will continue to use bikes for health reasons, new technologies may overtake them, offering better ways to zip short distances inside cities. Magnetic levitation trains are not just a lofty dream held over from the 1950s. They are already in operation in Shanghai and Japan. South Korea is building a maglev train that will operate within the Incheon Airport, and China reportedly has a second maglev train in development. While SUV and truck sales have been on the rise worldwide, that trend has been boosted by low gasoline prices, which can’t last given the finite supplies of fossil fuels. Cars will become much smaller and smaller. Hyperloop by Elon Musk is one of the most exciting innovations in transportation. Rising on nearly airless tubes at 800 mph, the train will transport you from LA to San Francisco in just 30 minutes. Elon Musk announced a design scheme back in August, but FoxNews.com has learned the concept is more than a pipe dream it is now a real technology in development. Hyperloop proposes to move away from traditional wheels by using air bearings for pods instead. This will have the pod floating on air. It’s similar to maglev, in which the electromagnetic levitation of the train means there is no friction like a traditional train that runs on tracks. The pod will be battery-powered and propelled by an external linear electric motor an electric induction motor that produces motion in a straight line rather than rotational motion similar to those used in the Tesla Model S. This motor would propel the pod to subsonic velocity that is, slower than the speed of sound, and provide a boost about every 70 miles. The linear electric motor is needed for as little as 1 percent of the tube length, so is not particularly costly. Hyperloop One, one of the several start-ups racing to make Elon Musk’s vision for “super-fast travel” a reality, is embroiled in a lawsuit that raises questions about its finances and direction. Hyperloop One is currently developing passenger and cargo system routes in the United States, Canada, Finland, Sweden, the Netherlands, and the United Arab Emirates. It is also in early talks with the Indian government to build one in India. Its publicly stated goal is to deliver a fully operational Hyperloop system by 2021.